From the time of Louis XVI. 's accession to the throne, the Queen had been expecting a visit from her brother, the Emperor Joseph II. That Prince was the constant theme of her discourse. She boasted of his intelligence, his love of occupation, his military knowledge, and the perfect simplicity of his manners. Those about her Majesty ardently wished to see at Versailles a prince so worthy of his rank. 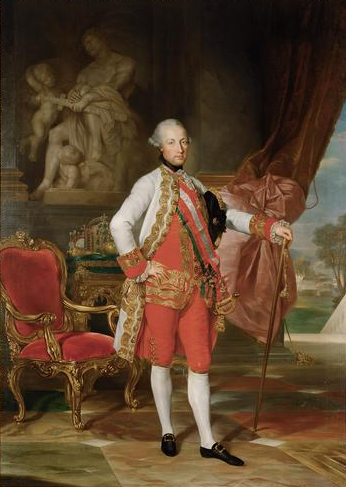 At length the coming of Joseph II., under the title of Count Falkenstein, was announced, and the very day on which he would be at Versailles was mentioned. The first embraces between the Queen and her august brother took place in the presence of all the Queen's household. The sight of their emotion was extremely affecting. The table was still served by women only, when the Queen dined in private with the King, the royal family, or crowned heads. I was present at the Queen's dinner almost every day. The Emperor would talk much and fluently; he expressed himself in French with facility, and the singularity, of his expressions added a zest to his conversation. I have often heard him say that he liked spectaculous objects, when he meant to express such things as formed a show, or a scene worthy of interest. He disguised none of his prejudices against the etiquette and customs of the Court of France; and even in the presence of the King made them the subject of his sarcasms. The King smiled, but never made any answer; the Queen appeared pained. The Emperor frequently terminated his observations upon the objects in Paris which he had admired by reproaching the King for suffering himself to remain in ignorance of them. He could not conceive how such a wealth of pictures should remain shut up in the dust of immense stores; and told him one day that but for the practice of placing some of them in the apartments of Versailles he would not know even the principal chef d'oeuvres that he possessed. He also reproached him for not having visited the Hotel des Invalides nor the Ecole Militaire; and even went so far as to tell him before us that he ought not only to know what Paris contained, but to travel in France, and reside a few days in each of his large towns. At last the Queen was really hurt at the Emperor's remarks, and gave him a few lectures upon the freedom with which he allowed himself to lecture others. The Queen answered that very wise principles might be very ill applied; that her secretary, who deserved her implicit confidence, was at that moment laying before her nothing but orders for payment of the quarter's expenses of her household, registered in the Chamber of Accounts; and that she ran no risk of incautiously giving her signature. The Queen's toilet was likewise a never-failing subject for animadversion with the Emperor. He blamed her for having introduced too many new fashions; and teased her about her use of rouge. One day, while she was laying on more of it than usual, before going to the play, he pointed out a lady who was in the room, and who was, in truth, highly painted. "A little more under the eyes," said the Emperor to the Queen; "lay on the rouge like a fury, as that lady does." The Queen entreated her brother to refrain from his jokes, or at all events to address them, when they were so outspoken, to her alone. The Queen had made an appointment to meet her brother at the Italian theatre; she changed her mind, and went to the French theatre, sending a page to the Italian theatre to request the Emperor to come to her there. He left his box, lighted by the comedian Clairval, and attended by M. de la Ferte, comptroller of the Queen's privy purse, who was much hurt at hearing his Imperial Majesty, after kindly expressing his regret at not being present during the Italian performance, say to Clairval, "Your young Queen is very giddy; but, luckily, you Frenchmen have no great objection to that." I was with my father-in-law in one of the Queen's apartments when the Emperor came to wait for her there, and, knowing that M. Campan was librarian, he conversed with him about such books as would of course be found in the Queen's library. After talking of our most celebrated authors, he casually said, "There are doubtless no works on finance or on administration here?" The King of Naples suffered him to go on speaking for a long time, and then casually asked how many Neapolitan families there were in Tuscany. The Duke soon reckoned them up, as they were but few. "Well, brother," replied the King of Naples, "I do not understand the indifference of your people towards your great reforms; for I have four times the number of Tuscan families settled in my States that you have of Neapolitan families in yours." The Queen being at the Opera with the Emperor, the latter did not wish to show himself; but she took him by the hand, and gently drew him to the front of the box. This kind of presentation to the public was most warmly received. The performance was "Iphigenia in Aulis," and for the second time the chorus, "Chantons, celebrons notre Reine!" was called for with universal plaudits. A fete of a novel description was given at Petit Trianon. The art with which the English garden was not illuminated, but lighted, produced a charming effect. Earthen lamps, concealed by boards painted green, threw light upon the beds of shrubs and flowers, and brought out their varied tints. 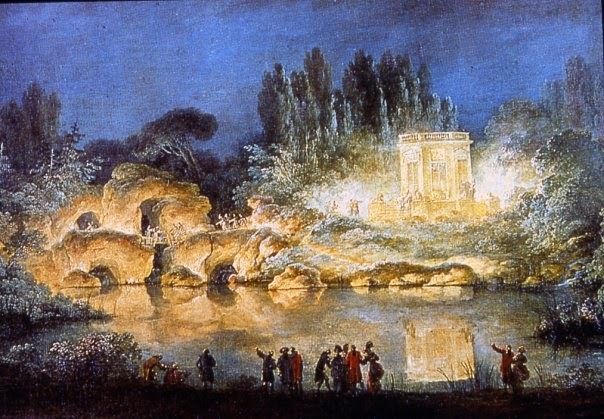 Several hundred burning fagots in the moat behind the Temple of Love made a blaze of light, which rendered that spot the most brilliant in the garden. After all, this evening's entertainment had nothing remarkable about it but the good taste of the artists, yet it was much talked of. The situation did not allow the admission of a great part of the Court; those who were uninvited were dissatisfied; and the people, who never forgive any fetes but those they share in, so exaggerated the cost of this little fete as to make it appear that the fagots burnt in the moat had required the destruction of a whole forest. The Queen being informed of these reports, was determined to know exactly how much wood had been consumed; and she found that fifteen hundred fagots had sufficed to keep up the fire until four o'clock in the morning. After staying a few months the Emperor left France, promising his sister to come and see her again. All the officers of the Queen's chamber had many opportunities of serving him during his stay, and expected that he would make them presents before his departure. Their oath of office positively forbade them to receive a gift from any foreign prince; they had therefore agreed to refuse the Emperor's presents at first, but to ask the time necessary for obtaining permission to accept them. The Emperor, probably informed of this custom, relieved the good people from their difficulty by setting off without making a single present.